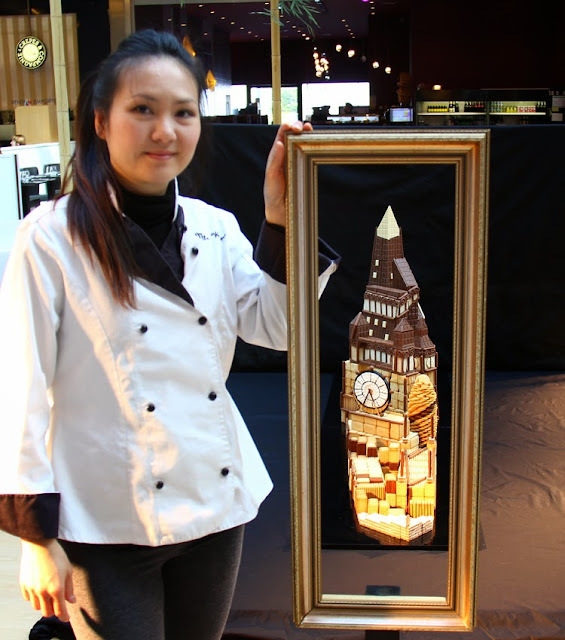 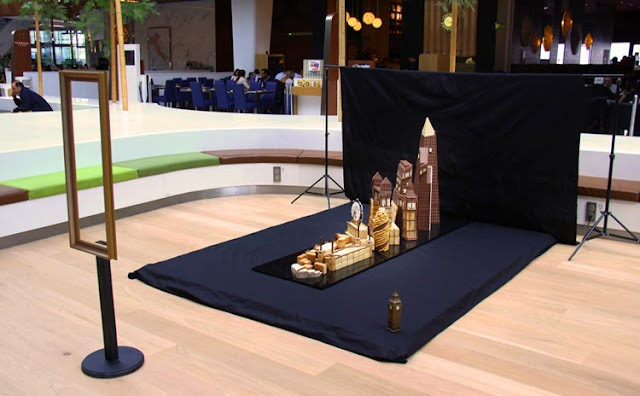 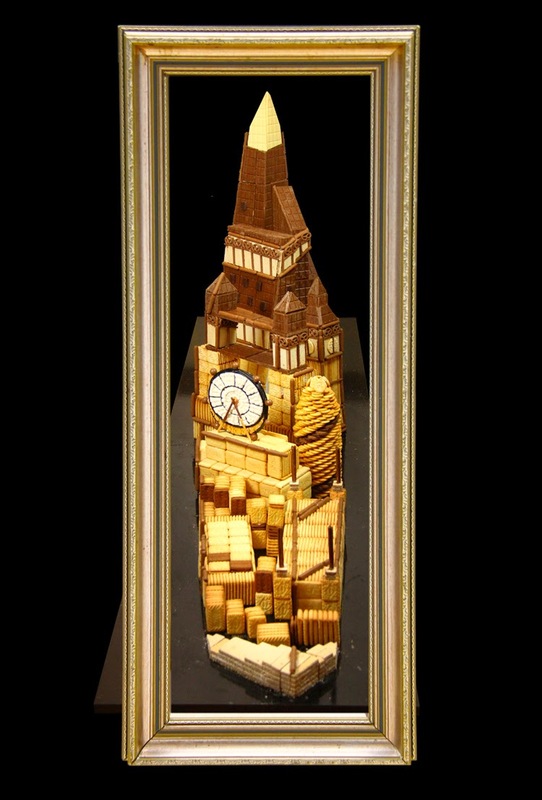 This picture of Big Ben is the world's first anamorphic food art created by Michelle Wibowo of Michelle Sugar Art to celebrate 'Unexpected Cooking' event at the Aéroville Shopping Centre in Paris. Are cleverly aligned to make a giant picture of Big Ben when viewed from certain angle. 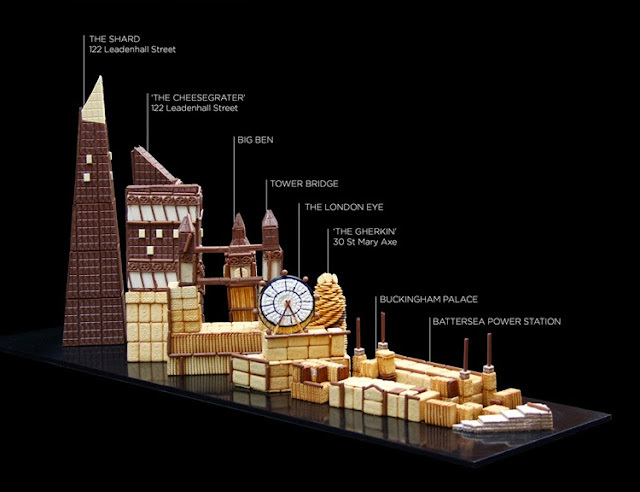 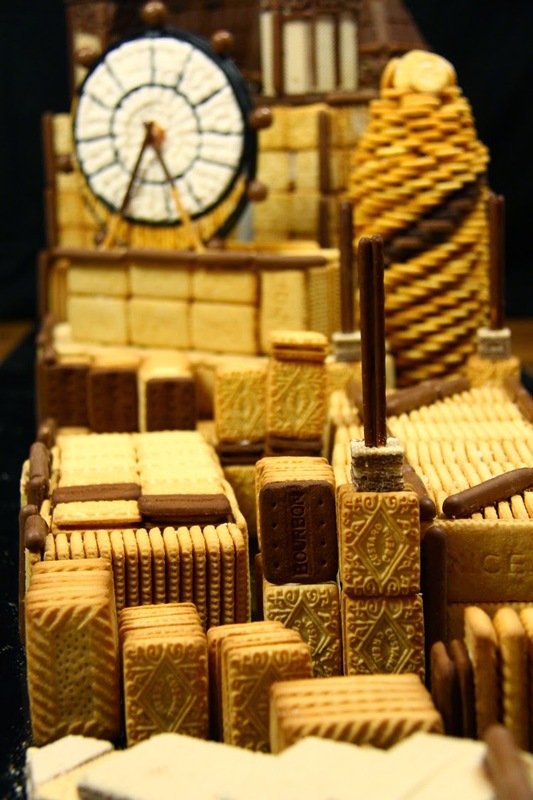 This confectionery art is made entirely in hundreds of biscuits, English shortbread, wafer, chocolate, custard cream, breadsticks, and marshmallow glued together with melted chocolate. 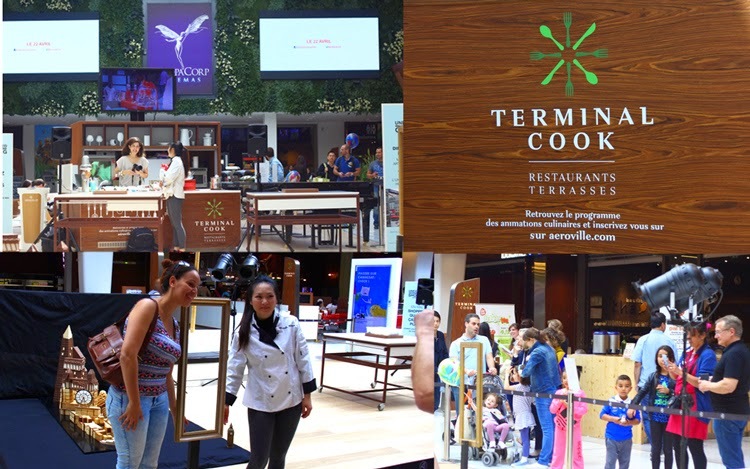 Visitor of the shopping mall were invited to take pictures and take part in the cooking show during the event.